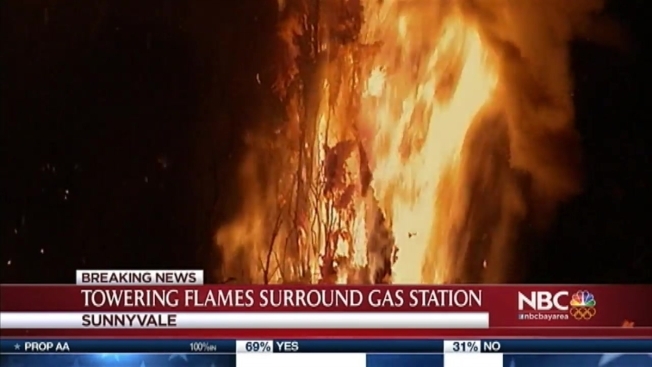 A fire broke out at a Valero gas station in Sunnyvale early Wednesday morning, sending flames high into the dark sky and creating a spectacle as the sparks lit four tall palm trees ablaze. The Sunnyvale Public Safety Department was called about 1:15 a.m. to the station at 1000 Lakehaven Drive, according to spokesman Craig Anderson. Crews arrived to find at least four trees fully engulfed in flames. 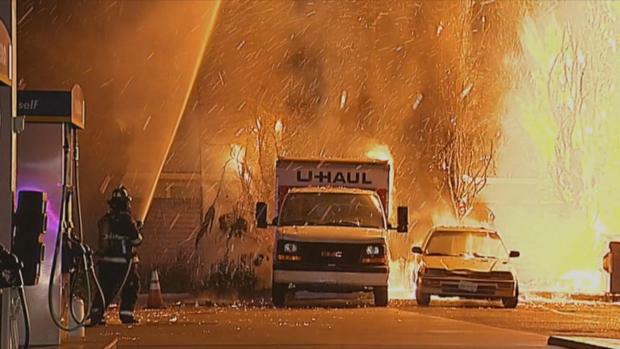 The fire spread to a U-Haul truck and a sedan in the parking lot. The house that was feet away from the trees, was saved, officials said.